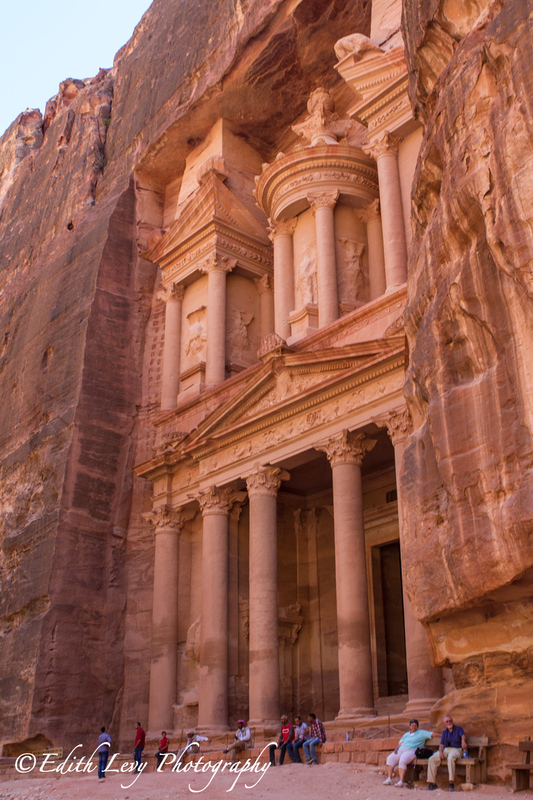 The Treasury or “Al-Khazneh” in Petra was called this because the Bedouin who lived in Petra 200 years ago thought that the building contained gold. Another account states that when the Bedouin saw the Treasury in the sunlight they thought it was covered in gold and when the sunlight disappeared so did the gold. I was told that the best time to visit was in the morning between the hours of 9am and 10am when the sun lights up the facade to a beautiful pink colour. By the time I had arrived it was noon and for the purposes of photography it’s not an ideal time to photograph but sometimes you have to work with what you’ve got. 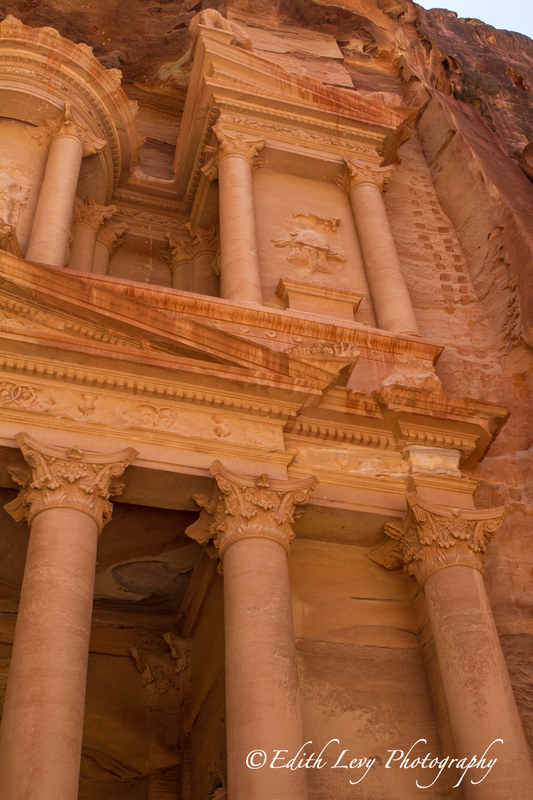 The Treasury was built by the Nabataeans in the first century and it was actually a tomb dedicated to Kind Aritas IV. On a quick note I’m heading out today for Paris and Italy. I don’t think I will be doing any blogging while I’m away (maybe on or two posts) but will be posting images to my Facebook page throughout the trip. 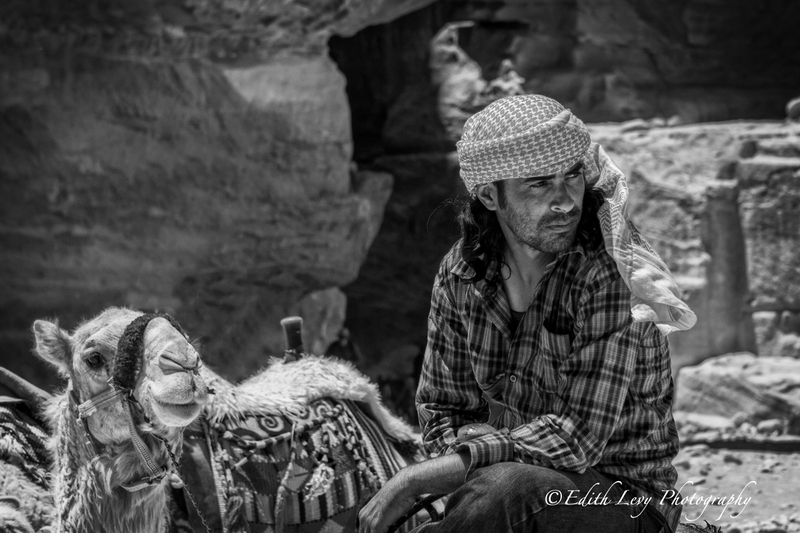 Click on this link, Edith Levy Photography Facebook and give the page a like to follow along on my travels. 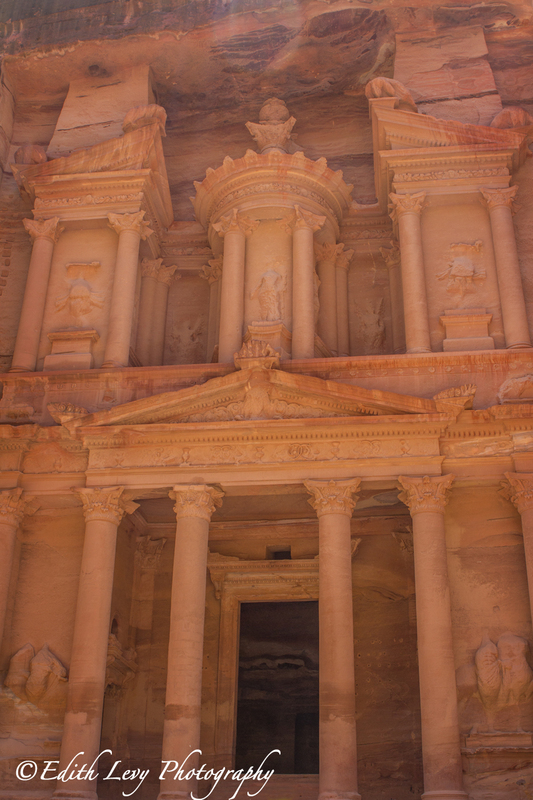 After walking the almost 1.5km through The Passage you come to an opening and get a first glimpse at Petra’s most important monument, The Treasury. Click on the image to see it in full resolution (it really does look better) or to Purchase a print. Click on the image to view a higher resolution (it really does look better) or to Purchase a Print.